The April issue of Louisiana Sportsman is now available at sporting goods and convenience stores. 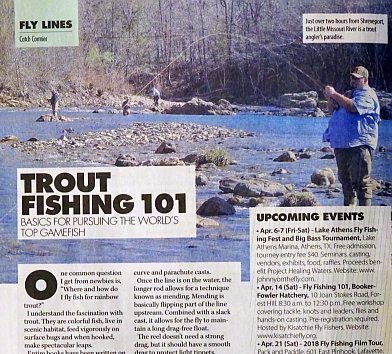 In his Fly Lines column, Catch Cormier gives a brief overview of "Trout Fishing 101" including necessary tackle, accessories, tactics, and where to go. 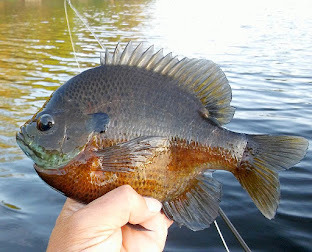 There's also the calendar of upcoming events, and the April Fishing Forecast (Tippets). In his expanded Paddles and Puddles section, kayak fishing guru Chris Holmes tells where and how to target canal bass. He also gives new gear reviews for the PowerPole Micro, NRS Boundary Shoe, and the Bioenno 12-volt Lithium battery for powering a variety of kayak electronics. Also, the April "best bet" locations for freshwater and saltwater kayak fishing. 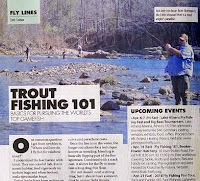 Other columns/articles of interest include: Jerald Horst tells us about Gaspergou in his Creature Feature column; Jerald also writes about targeting bass from a kayak featuring Butch Ridgedell of the Lafayette Kayak Fishing Club; Phase 3 of the Toledo Bend bass spawn by David A. Brown, and top April trout hotspots by Andy Crawford. 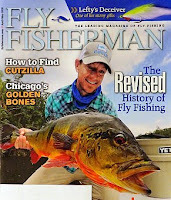 The April-May issue of Fly Fisherman magazine is out. Although the issue went to publication prior to the passing of Lefty Kreh, there's a couple of features dedicated to the legend of our sport. Editor Ross Purnell tells the story of the Lefty's Deceiver and his recollection of the man behind the fly. Flip Pallot pays "A Tribute To Lefty" in an article detailing his memories of his mentor, giving us a glimpse into Lefty's life. 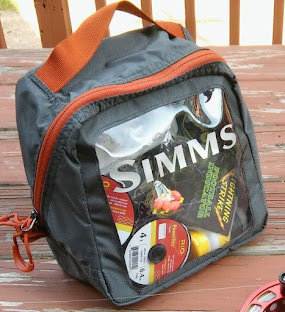 Other articles include: Ed Jaworoski on why when it comes to fly lines, anglers should throw out the old AFTMA weight standards and why they don't mean much anymore. Ross Purnell tells of a South American fish that was caught on flies long at least 300 years before Isaak Walton wrote his famous book on fly fishing. Landon Mayer writes about high-altitude cutthroat trout fishing. 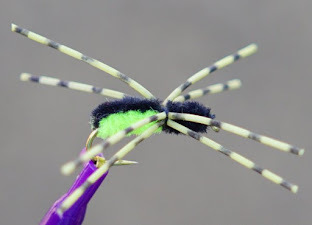 Also: fly fishing news, new gear, tying the Senyo Predator Scandi and more.